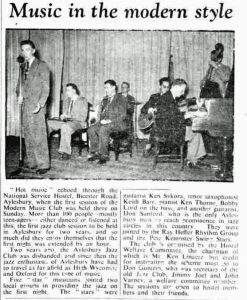 In 1952 we find a reference to the Modern Music Club at the National Service Hostel in Bicester Road. 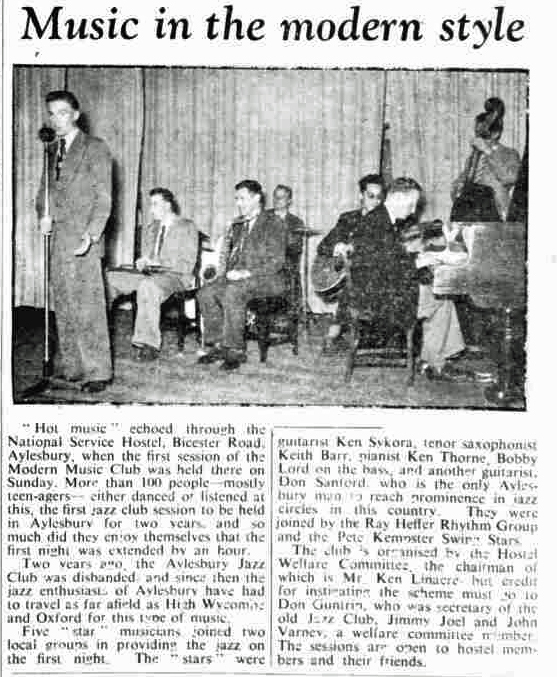 An article in the Bucks Herald dated 3rd October 1952 reported on “the first jazz club session to be held in Aylesbury for two years” since the Aylesbury Jazz Club was disbanded. Mentioned as one of the artists is Ken Sykora, a jazz guitarist. 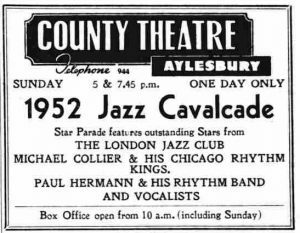 His obituary in The Guardian notes that “for five successive years in the 1950s, he was voted Britain’s top guitarist by readers of Melody Maker”. Later he became a presenter of music shows for radio and TV. More information on The Man with the Jazz Guitar website. 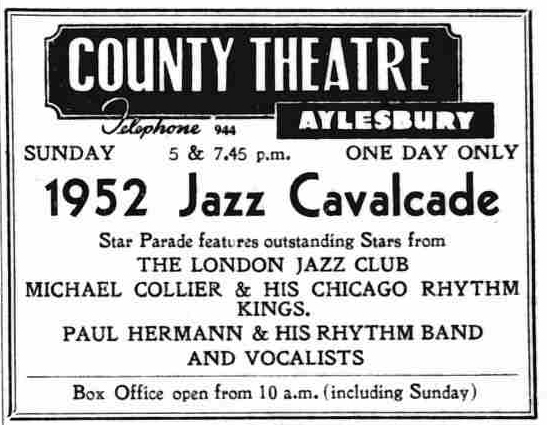 Earlier in the year, the County Theatre (later the Grosvenor Ballroom) had presented the 1952 Jazz Cavalcade in April.